I got a link to this article in my google alerts today. Thought you'd all appreciate it. "If God does not love you, how could you have done the things you've done?" So asks a Muslim nobleman of Balian of Ibelin near the end of Ridley Scott's movie Kingdom of Heaven. Balian, who has been seeking God's will through the entire film, makes no real answer as he takes his leave of Jerusalem, yielding to the Muslims who, under the leadership of Saladin, have conquered the city. And yet, Balian leaves with the respect, shared mutually, of the Muslim nobles. I learned a while later that the film was a victim of the all-too-common movie malady, the dreaded Studio Cut, in which a director makes a movie the way the director wants, but when he screens it for the executives, they dislike it and mandate a whole bunch of cuts. In the case of Kingdom of Heaven, a three-hour epic that took its time telling its story was forced to become a two-hour pseudo-epic that felt overstuffed and, at the same time, underexplained. So, when it came time for the DVD release, Scott was allowed to restore the material he hadn't wanted cut -- almost an entire hour's worth of material. Now, not all movies are helped by indulging directors' desires to stick stuff back into the films for DVD releases. But many are, with some movies – the Lord of the Rings films, for example – so benefit by their expansions that the "Extended editions" become the canonical versions. Really, who watches the theatrical cuts of LOTR anymore? Kingdom of Heaven benefits from Scott's revisiting to a frankly amazing degree: the movie was a serviceable medieval war story, but now, in its Extended Director's Cut, it's a stunning epic. As I watched its story unfold, I kept thinking to myself, "Why didn't I like this movie this much last time?" And I was often hard-pressed to come up with an answer. Even though it's been three years since I saw the theatrical cut and thus can't remember it well enough to definitively say what's been added and what has not. (Upon further review, the entire subplot of King Baldwin IV's nephew, who would become King when Baldwin IV dies, is new to this version.) This isn't a movie with a few scenes added just to get you to buy the DVD. Nor is it an Extended version with lots of new scenes that enhance the movie you've already seen. So much has been restored for this version that it's an entirely new movie. The story is one of those "Poor stiff finds fame and glory in a far-away land" tales. Balian (Orlando Bloom) is the blacksmith in a French village; as the film opens, he is mourning his wife, who has committed suicide after losing her baby. Soon a band of Crusaders returns to the region, including a man (Liam Neeson) who is now a Baron in the Holy Land, and who turns out to be Balian's father. After some nastiness, Balian has no choice but to leave his home and travel to the Holy Land himself, not so much as a Crusader but as a man seeking favor with God after committing sinful acts. On his way he makes friends and enemies, some of whom are Muslim and some of whom are fellow Christians; he becomes embroiled in all manner of political intrigue in the Holy Land at the time when the King of Jerusalem (Baldwin IV) is a leper who is nearing death and when the Muslims have found their greatest leader, Saladin, who is winning victory after victory. Balian finds himself involved with Sibylla, and toward the end of the film, he finds himself charged with the defense of Jerusalem itself. Scott is, as ever, a visual genius, and there's nary a shot in this entire film that doesn't have something interesting going on. His Holy Land, hot and bright and dusty, contrasts with his Europe, which is cold and wind-swept and a place where snow is constantly fluttering down from gray skies. The sets are opulent and magnificent, and the long shots of medieval Jerusalem, created by computer, manage to look authentic. I've never questioned Ridley Scott's skills as a visual director, but I've always found his movies somehow uninvolving on the human side – until this one, or at least, this version of this one. Watching Kingdom of Heaven now, in its longer version, I found my attention never wandering at all. The film is full of fine performances. 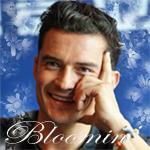 Orlando Bloom plays Balian, and it's a good performance, if not especially wide-ranged. It seems to be accepted wisdom that Bloom is a bad actor and mainly a pretty face, but I don't think that's fair; he strikes me as a British version of Kevin Costner, a guy who may not have the wide range of quite a few better actors, but whose performances are better than typically seen and who, in the right role, can actually shine. Eva Green plays Sibylla, a woman caught between love and duty to her nation and her son, with lots of emotion that looks forward to her turn as James Bond's first great lover in Casino Royale. The supporting cast is superb across the board, with not a single false note in the entire cast. Most notable is Edward Norton, who embodies King Baldwin IV; what's amazing about him is that the King wears a silver mask in all of his scenes, owing to his disfigurement from leprosy. With no ability to call on facial expressions or even eye movements, Norton nevertheless conveys a wide range of feeling in his performance, so much so that this film is a good answer for anyone who has ever wondered how convincing Greek drama must have been, with all of those performers in their masks. Many of the film's events are drawn from true history; Baldwin IV really did die young of leprosy, and his successor, Baldwin V, did die at the age of nine. There was a Queen Sibylla who ruled alongside King Guy; there really was a Balian of Ibelin. Raymond of Chatillon really did suffer the fate depicted herein. It's not strictly accurate history, obviously, but this movie treats its subject matter with respect. This isn't a movie like the Pirates of the Caribbean films, which exist in a cheerfully-ahistorical timeline. And the film's villains aren't exclusively Muslims, nor are they exclusively Christians. There are honorable men and women on both sides, which is a pretty remarkable stance for this film to have taken given that it was made in the days following the 9-11-01 attacks. The music for the film is by Harry Gregson Williams, a composer who has emerged over the last decade as a potentially exciting new voice (his most notable work is for the Narnia films). Here he writes a score that blends medieval European religious chant with soundscapes evocative of the Middle East, resulting in a score that is often captivating. The only down part of the score is the odd use, in a late scene in which Balian must give a rousing speech to the inadequate defenders of Jerusalem, of a cue from Jerry Goldsmith's score to the movie The Thirteenth Warrior. I have no idea what possessed Ridley Scott to use this music here, when Gregson Williams has written an otherwise wonderful score for this fairly meditative epic, but Scott has a long history of making odd decisions with regard to the music for his films, so who knows. A regular viewer watching the movie probably wouldn't even notice that there's a melody heard in that scene that never occurs in any other part of the movie; they'd only notice that the music there is nicely rousing for a scene that's rousing in nature. But a film music geek like me? That stands out like the proverbial sore thumb. I bolded this guys opinion of Orlando's acting. I don't think so. I agree with you Aliza, about this guy's opinion of Orlando's acting. Has he ever seen Orlando in Ned Kelly or Haven? Oh well, thank you Aliza for bringing over the article, that was an interesting review. Thanks, aliza for the article. I've read a few post KOH directors cut reviews and they're all very postive, that is, from those who were willing to take a second look at the film. I'm happy that they were honest enough to admit KOH was a great film after all. That wasn't a bad review. He liked the movie and he did like the acting of Orlando just not the way we do I personally haven't seen the Extended Edition but I really did love Kingdom of Heaven. Perhaps I need to get it. Thanks for the article Aliza! Not to be disrespectful, but they compare Orlando to Kevin Costner?! 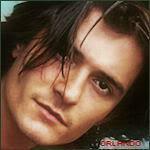 If I may say, Orlando can play Robin Hood better than Costner! They were right when they say that it isn't fair to him to be overlooked. Orlando can do anything! UPDATE: My take on Orlando Bloom as an actor isn't taken well at an Orlando Bloom message board, which strikes me as odd, since I openly state he's not a bad actor. I actually think he's pretty good. He's not Olivier, or Ian McKellen, or Daniel Day-Lewis, but Bloom does perfectly well in the movies I've seen him in. He's fine in Lord of the Rings, he's fine in the Pirates of the Caribbean flicks, he's good in Elizabethtown, and he's good in Kingdom of Heaven. I'm not sure what their point of contention is, unless they're of the view that I'm actually not being sufficiently effusive in my praise of Bloom as an actor. I'm not often taken to task for not being nice enough in my compliments, but there it is. I just know that most times I see Orlando Bloom mentioned, and people rip on him as being a bad actor, which I think is pretty wrong-headed. I guess you can't please everybody. I must say I agree with him. I recently saw KOH Director's Cut and I like it more than the version we all saw in the cinema. I just lent my copy of the directors cut to a friend who had seen the theatrical version and was very disappointed. She loved it, as everyone has said so many questions answered,especially Sybilla. Such a shame it has taken the critics so long to get round to watching this far superior version. Thank you Coni for bringing this over and I think that is very nice of what he said about Orlando. I also know he is not Olivier, Ian McKellen or Daniel Day-Lewis but he is not Costner either. Orlando is special in his own way and shouldn't be compared to anyone. I agree with you, aliza. Totally! Wow. I'm delighted with this great review of the KOH Director's cut. I wish that when the film plays on cable, they would show the Director's cut so that the reputations of the film and Sir Ridley could be redeemed. I'm not sure the cable channels will do it, but that would be lovely. I was disenchanted with the comparison to Costner - mostly because I have long thought of him as a one-note actor. I actually like his vision as producer and director a whole lot more than I respect his acting ability. Of course Orlando's not Olivier, McKellen or Day-Lewis. But he's 32, for Pete's sake. Give him time. He's already getting better. His last film on the screens was Will Turner, and if you extract that character from all the hoo-haw over Captain Jack and the Disney machine, Will had an amazing arc in those films and Orlando met the challenge and - I thought - did a terrific job with it. I'm not familiar with this critic, but I do thank him for taking the time to re-visit KOH and put this good review out there. She's into the eyes! Oh, the eyes! I don't understand why you're upset. This man is actually praising him! Maybe not in a way we would like to, but come on, we've seen our share of bad reviews and it's nice to see that there are critics out there who actually like him. I personally think Orlando is a very good actor, as we all do here on the board I presume, and after having heard and read a lot of bad criticism (on both him and his films) I am very pleased to read a review like this! And it's true, eventhough I really love KOH when I first saw it in the theatre, the EE version is so much better. And it makes me angry that the movie would have done so much better if they hadn't cut so many important scenes. I have a feeling that if it had been shown as it should have, Orlando's performance would have been received better as well. I don't understand why you're upset. For that: "a guy who may not have the wide range of quite a few "
I think he has a pretty wide range. Thank you for that review. It was Kingdom of Heaven that made me a fan of Orlando's. When I saw the Extended version I couldn't understand why they didn't release that version in theatres. The only part of the review that I don't agree with is his comment, ' if not especially wide-ranged.' because I think that Orlando does have a wide-range to his work, someone mentioned Ned Kelly, I loved that film, like Kingdom that was a different role for him. Again thank you for posting that review. Director Ridley Scott confronts hundreds of years of religious conflict in KINGDOM OF HEAVEN. An epic film set in Europe and the Middle East, the story follows one man’s struggle to better himself and the world around him. Orlando Bloom stars as Balian, a French blacksmith who is mourning the deaths of his wife and baby when his estranged nobleman father (Liam Neeson) arrives and asks him to join the Crusades in Jerusalem. Mindful that conducting the Lord’s work will help him atone for his sins, Balian agrees, and embarks on the perilous journey. Along the way, he reveals his gifts of inherent goodness and fair treatment of all human beings. Upon reaching Jerusalem, a city where his meager beginnings no longer matter, Balian earns respect and fealty, while the evil Guy de Lusignan (Marton Csokas) looks down his aristocratic nose at the former laborer.As he did in GLADIATOR, Scott explores the theme of a man who chooses his fate, instead of accepting the fate given to him at birth. Balian comes to life in Jerusalem, protecting the weak and defenseless as his father told him he must, and catching the eye of the beautiful Princess Sibylla (Eva Green), unhappily married to de Lusignan. Scott paints a stirring portrait of the struggle over Jerusalem among Christians, Jews, and Muslims. In doing so, he also shows the passionate fight for religious freedom. KINGDOM OF HEAVEN ably handles these delicate issues, effectively treating characters from all factions as individuals and not as stereotypes. By placing a virtuous man at the center of this conflict, Scott creates a powerful, universal story. Just popped it into the dvd player. One of my favorite films. This soundtrack is the one which helps me get my work done. Glad the reviews are good. Thanks Aliza for finding them! Well, since I have both the 2 Disc/Widescreen and the Director's Cut Four Disc Special Edition, I guess you could say I like this movie. Actually, it's my favourite Orlando film. . . so far. Balian has her love, and her answer is YES! Pam, I'm with you there. Balian is my favorite of Orlando's characters and it is the movie that I put on in the background on the weekend and have it on while I work around the house or do classwork. And of course though the critics never asked me, it is a well-told story and Orlando shines in his role as Balian.